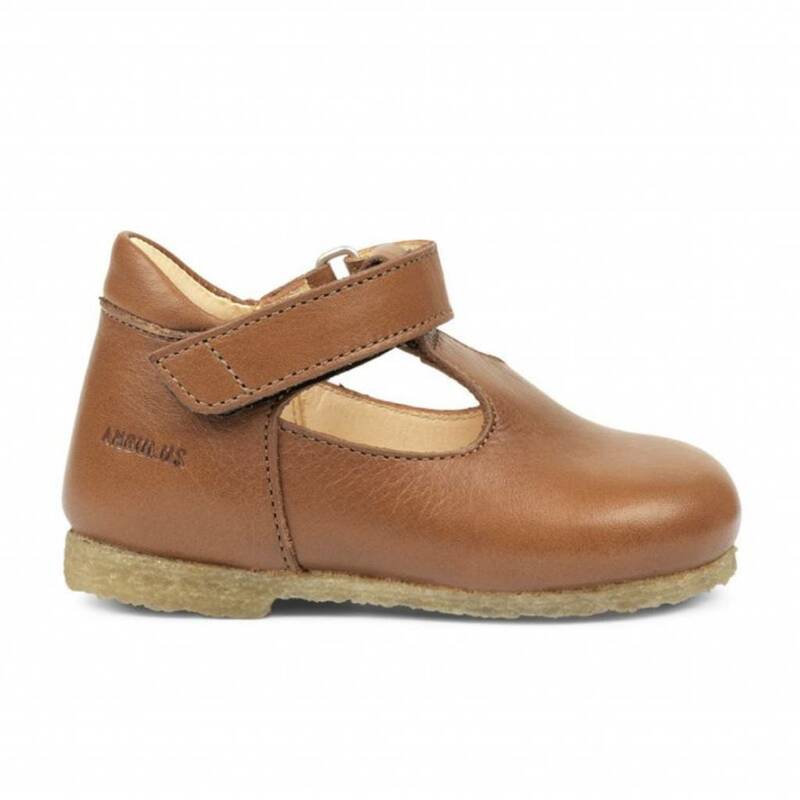 Starter Mary Janes with velcro closure. Solid heel cap for maximum support. 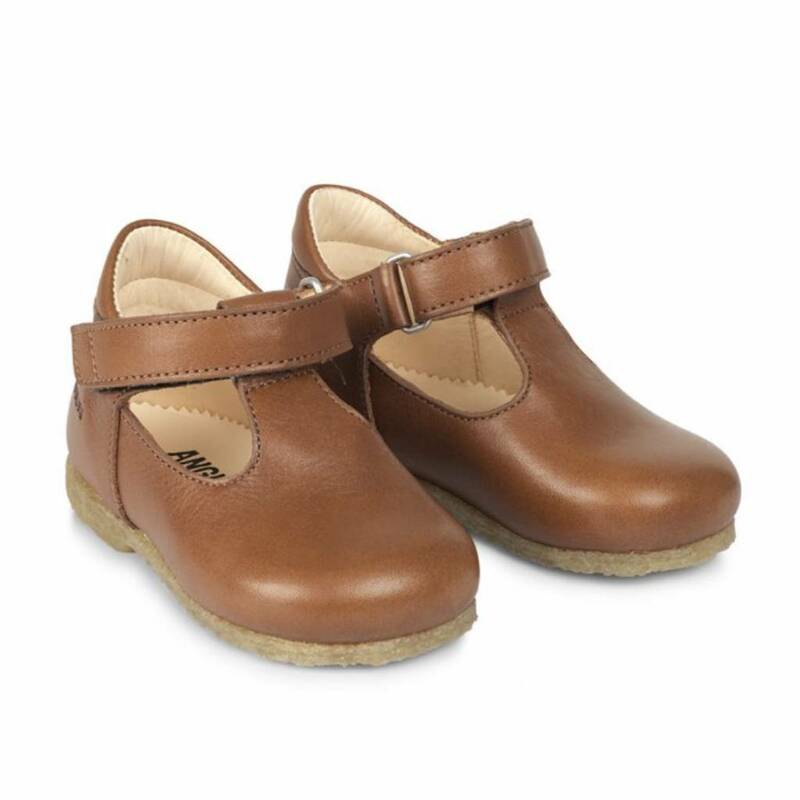 Soft and flexible crepe rubber sole. 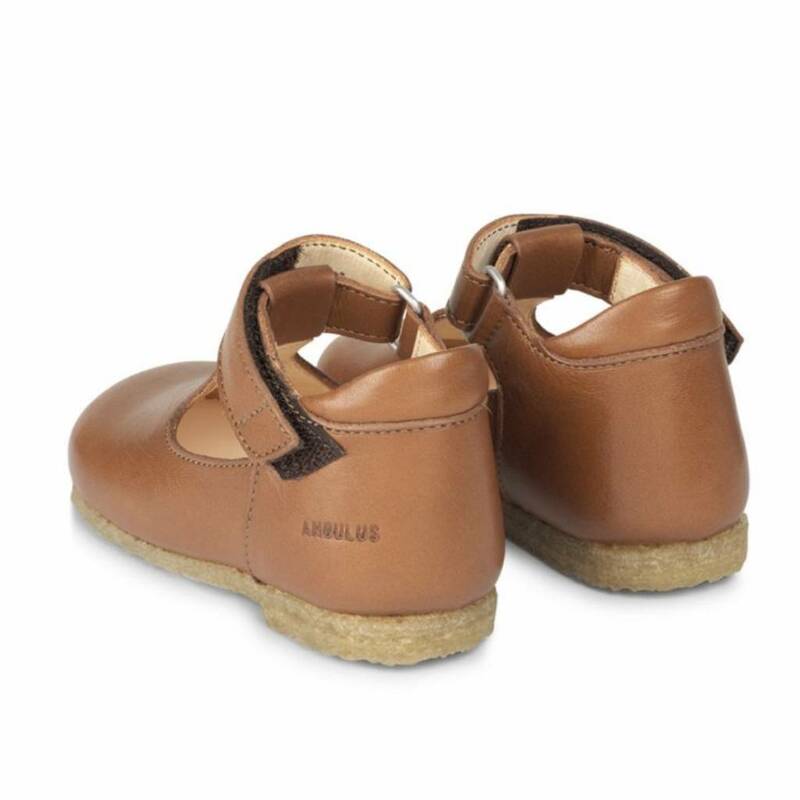 Angulus recommend approx. 1/2 inch of space for proper growth.